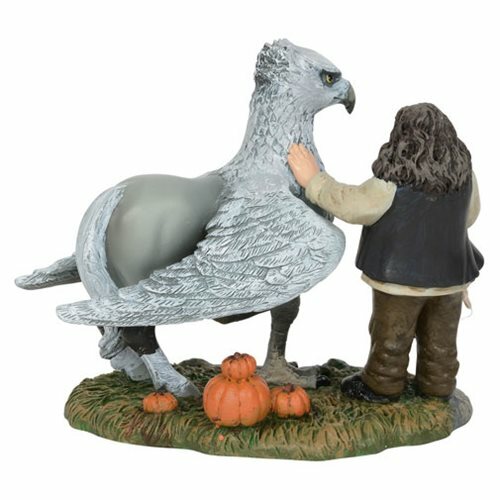 The Harry Potter Village Hagrid and Hippogriff Mini-Figure Set is a must have for fans of J. K. Rowling's Wizarding World. Hagrid, half human, half giant, is the Keeper of the Keys and Grounds of Hogwarts. 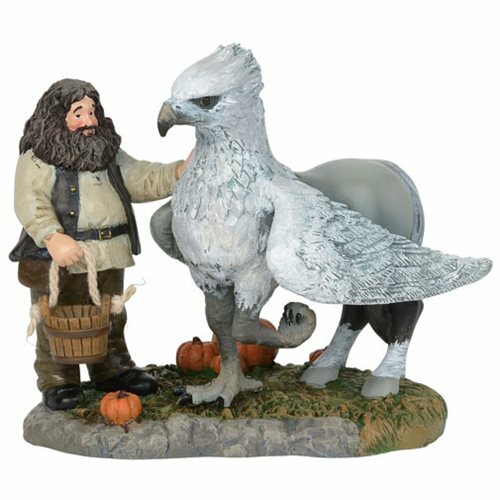 His kind-hearted personality allows him a strong relationship with the Hippogriffs, a mythological creature of half eagle and half horse. Measures about 3 3/4-inches long x 3 1/3-inches tall x 2 1/3-inches wide.